When and where are firearms safety classes offered? Classes are added to the DNR website as the information becomes available. Check back often. The firearms safety class consists of a minimum of 12 hours of classroom learning on the safe handling of firearms, hunter responsibility and wildlife conservation. Students then complete additional field experience. The field experience consists of seven required scenario-based training opportunities. 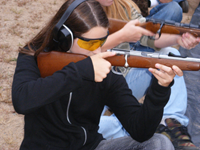 These scenarios allow students to learn and demonstrate commonly accepted principles of safety in hunting and the handling of firearms. It includes shooting a .22 caliber rifle on a range. A fee of up to $7.50 may be collected by the instructor at the class for any costs they incur to conduct the class. The DNR course fee is $7.50, payable on-line after successful completion of course requirements. 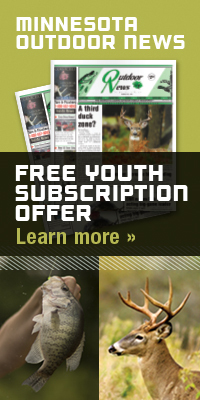 Youth ages 11 – 17: Youth can complete the 12-hour online course at HunterCourse.com. Attending a field day is required. Consider registering your child for a field day before they complete the online course; see availability by checking currently scheduled classes below. To have your firearms safety certification added to your Minnesota Driver’s License, bring your firearms certificate to the Department of Motor Vehicles (DMV) when you renew your driver’s license and request them to check the box to add it as an endorsement. Find (and sort) more courses on the DNR Safety Training Calendar!